Herbin Améthyste de l’Oural Giveaway Winner! The Herbin Améthyste de l’Oural giveaway is now closed. Thank you to all of the ink aficionados who entered. Your comments showed great enthusiasm and anticipation for the new ink. Also, thank you to Karen at Exaclair for sending a bottle of the lovely ink to share with you. She has been a huge supporter of this blog for which I will always be grateful. Drum roll please. Congratulations to Robyn Brown, the lucky winner! Please contact me at inkophile@gmail.com to arrange shipment. I hope you love Améthyste as much as I do. Stillman & Birn and Traveler’s Notebooks are always on my desk and I was delighted to find new ways to use them. This week’s color inspiration came from a slideshow of birds. 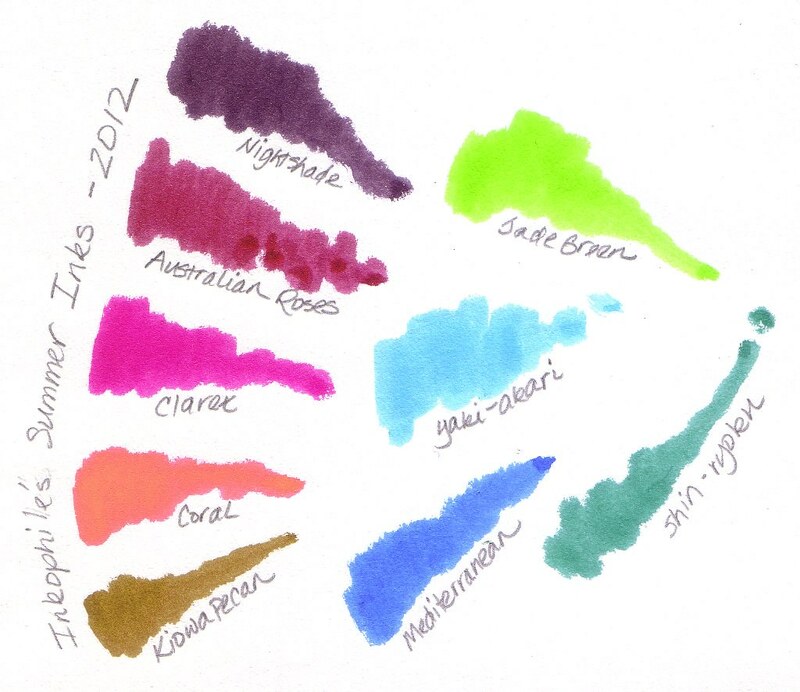 Matching fountain pen inks to them could be an entertaining endeavor though the colors seem brighter than what inkdom currently offers. What do you think? Oh, and remember to leave a comment at the Herbin “1798” Jacques Herbin Amethyste de l’Oural Fountain Pen Ink giveaway. One entry per person. Drawing will be on August 10th. U.S. residents only. Herbin’s new “1798” Jacques Herbin Amethyste de l’Oural fountain pen ink was announced today with availability slated for September 1, 2017. It’s a lovely color with glints of silver that reminds me of an amethyst and platinum ring my mother bequeathed my daughter. Purple and silver are beautiful together, subtle but elegant. 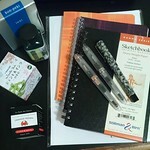 Karen at Exaclair, Inc., the U.S. distributor for Herbin, gave me a bottle that I am going to give away. To enter, all you have to do is post a comment below about the new ink. One entry per person. Shipping to a U.S. address only. The random drawing will be held August 10, 2017 at 6 pm PDT. The winner will have 48 hours to contact me at inkophile@gmail.com to claim the prize. Update: This giveaway is now closed and a winner has been announced. Thank you to all who participated! Quo Vadis: Giveaway: Academic year planners with the new Noir covers! Pen Chalet: Monteverde California Teal Ink Review & Giveaway! Riley and Aaron who run the Nibspotter blog have teamed up with JN Woodworks for a very special fountain pen giveaway. This is not an ordinary fountain pen, but a custom creation. How can you not enter with a prize like that! Drum roll, please. The winner of the Noodler’s Berning Red Giveaway is Angela Watson! Please contact me at inkophile@gmail.com to arrange shipment. Have you read the entries? Some of them cracked me up. Others got me thinking about what we write with fountain pens. You guys add so much to An Inkophile’s Blog. Thank you so much for participating. And thank you to Luxury Brands USA for sponsoring this giveaway. You are currently browsing the archives for the Giveaways category.